Why is the bond set for other defendants different than mine? Bond is set by the Judge based on a number of factors, including the severity of the alleged offense, including the danger he or she is deemed to pose to the community if released. The Judge will also factor in each person’s criminal history, and their ties to the area. If a Defendant has had a long period of residence in the area, or is a lifelong resident in the community, with children and family in the area, a long employment history, it is unlikely that the Defendant will flee the jurisdiction while the case is pending. If a person has held the same job for a long period of time, it is unlikely the person will leave his or her job. The same goes for a person’s financial ties to the area. It is unlikely that an accused will leave their property or risk foreclosure or default on a mortgage due to the pendency of the criminal charges, and is likely to comply with the terms and conditions of bond set by the Judge. If the Judge sets the bond at a “personal recognizance,” the person will be released from jail on their word that they will appear for all of their future court dates. If a bond is set at a “cash bond,” the person will have to post that amount at the jail before he or she can be released. At the conclusion of the case, provided there has been no violation of the conditions of bond, the cash bond can be returned to the person who posted it. If the Judge sets bond at “cash or surety,” this means that the person has the option of posting a cash bond or using the services of a “surety,” which is a bondsman. A bondsman is an excellent option for those who do not have access to the full amount needed to post the cash bond. Bondsman however will typically require the person to pay a minimum of a 10% fee in order to post the full amount on behalf of the Defendant. The bondsman may require additional conditions including collateral, a co-signer or that the Defendant maintain regular contact with the bondsman. The contract between the person and the bondsman is a civil contract between the Defendant and the bondsman. If the bondsman does not feel that the Defendant is abiding by the terms he agreed to with the bondsman, or if he or she picks up new charges after having been released on bond, the bondsman may decide that the investment made for the Defendant is too risky and revoke the bond. If this happens the person will be returned to jail until the case is over with or he can find someone else to post the bond. What happens when a person is charged with a felony? A felony is a serious criminal charge, which is defined in terms of a possible punishment in excess of one year in jail. In most cases, a felony prosecution starts with an arrest. Written police reports are presented to the State’s Attorney’s Office, which then decides what charges, if any, should be filed and whether those charges will be felonies or misdemeanors. Misdemeanors are less serious crimes punishable by no more than a year in county jail and/or a possible fine. Felony charges may also be filed even though there has not been an arrest. For example, the police may conduct an investigation of a crime and identify a suspect. Rather than arresting that person, the police may instead present their investigation to the State’s Attorney, who may file charges with the court, and an arrest warrant is issued. The State’s Attorney may also present evidence to the Grand Jury, which listens to the evidence presented by the State, and decides whether there is sufficient evidence to bring forth official charges by issuing an Indictment. Charges may also be officially brought forth following a preliminary hearing. The primary purpose of of the preliminary hearing is to weed out charges that are obviously groundless. At a preliminary hearing, the prosecution will call the police officers and witnesses to demonstrate to the judge that there is enough evidence to justify setting the case for trial. This hearing is not heard by a jury, and at this point in the criminal process, the prosecution's case does not have to be proved beyond a reasonable doubt. Understandably, this can be terribly frustrating for a client who wants to "fight" aggressively to win his case now, rather than later. Unfortunately, this is not always possible, nor wise. Regardless of whether a felony case is brought forth via an arrest, preliminary hearing, or through a grand jury indictment, all Defendants facing felony offenses are brought in front of a Circuit Court Judge for a hearing called an arraignment. The Judge will advise each Defendant of his or her rights and inform each person of all the charges. If the person does not already have an attorney, he or she will be offered legal representation if he or she is unable to hire a private attorney. Ordinarily the Deputy Public Defender will then enter a plea of "not guilty" on behalf of the client. The Judge will then assign the case to be heard by a particular judge, and will inform the attorneys of the future court dates. Generally speaking, the right to a “speedy public trial,” means that the trial is to occur within 180 days of the client’s first court appearance. However, there are many reasons why a felony case may require additional time, including the need for the defense to conduct a complete and independent investigation, interview witnesses, and consult with expert witnesses. A jury trial date may also be delayed if the defense attorney finds there is a need to file certain motions. The attorney may file motions based on various legal grounds, such as a motion to get certain evidence thrown out of court because the police acted improperly when seizing this evidence. The defense may also make motions to force the States Attorney or the police to disclose other pieces of evidence which could help prove that the client is not guilty of the charge. What happens when a person is charged with a Misdemeanor? A misdemeanor is defined as a crime that is punishable by a fine up to $2,000 and/or imprisonment in the county jail for one year or less. As in most criminal cases, a misdemeanor prosecution starts with an arrest. The police reports alleging illegal acts are then presented to the States Attorney, who will decide what charges, if any, should be filed. Some cases may be referred to the SD Attorney General’s Offices for prosecution instead. Any person who has been arrested and then released from custody must appear in court on the date provided. Failure to appear is a criminal offense and will result in the issuance of a warrant. Unfortunately, you cannot assume that the court will understand that you had to work that day, you overslept, or your child was sick. If you are represented by the Public Defender's Office and have failed to appear in court when required, it is always best to contact your lawyer and arrange a time to turn yourself in, rather than to wait until the police find and arrest you. You have a much better chance of receiving a lower bond if you turn yourself into the jail voluntarily. Once a case has been filed, the first step in the criminal process is the initial appearance. This is usually the time the defendant first appears in court, is informed of the charges, and enters a plea. The usual pleas are "not guilty," or "guilty. A misdemeanor case that is not going to be resolved with a plea will be scheduled for either a dispositional conference or a preliminary hearing. While the case is on-going, a Defendant may decide he or she does not want to go to trial and is interested in pleading guilty rather than going to trial. Just as often, the State’s Attorney may offer the defendant what is commonly referred to as a "plea bargain," to plead guilty to a less serious charge or agree to ask for reduced incarceration time at sentencing. Defendants charged with first-time non-violent drug offenses may be eligible to participate in a rehabilitation or drug diversion program wherein the Defendant pleads guilty, agrees to participate in an intense eighteen month Methamphetamine and Stimulant Alternative Sentencing Program, commonly referred to as MSAP, wherein if the individual successfully completes all the required classes, including treatment, counseling, and they can have their case dismissed at the end of the long-term treatment program. Every adult criminal defendant has the right to a trial by jury. This is where 12 jurors, who are called "the finders of fact," listen to all the evidence presented by both the prosecution and the defense, and decide what is proved and what is not. The judge's job at a jury trial is to make sure that both the prosecution and the defense adhere to all the rules of evidence when presenting their case to the jury. At trial, the prosecutor must try to prove the client's guilt beyond a reasonable doubt. All 12 jurors must agree in order to either convict or acquit. If the jury cannot agree, a "mistrial" will be declared by the court, and the case may be tried again before a different jury. If a defendant is found guilty, the judge will then impose a sentence. The possible range of sentence, which is set by various laws, may range from no jail and probation, to imprisonment in the state prison. Sentencing can be a very complex process, depending on the severity of the crime for which the defendant has just been convicted. Every person who has been convicted after a trial has the right to appeal his or her conviction. However the rules on when an appeal must be filed are strictly enforced. The appeal process starts when the trial attorney who, upon the request of the client, files a notice of appeal in the trial court. It is imperative that clients discuss their right to appeal options immediately after sentencing. Appeals that are not timely filed will be deemed waived. If you are even thinking about appealing your case, it is better to err on the side of caution, and have the trial attorney file the notice of appeal. You will need to make arrangements to turn yourself in on the warrant before the Public Defender’s Office is going to be able to schedule the matter for any hearings in front of the Judge. Will the Public Defender represent me if I am a resident of another state? Yes. 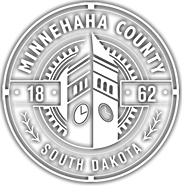 If you are charged with an offense that is filed within the County of Minnehaha, and you are unable to afford to hire an attorney, the Public Defender's Office is available to represent you, regardless of the state where you reside. The Public Defender's office also represents clients in extradition proceedings. Your residency, citizenship status, or the type of proceeding you are involved in may raise issues unique to your case, however, and should be discussed with the attorney who is assigned to represent you. Absolutely. If you are charged with an offense that is filed within the County of Minnehaha, and you are unable to afford to hire a defense attorney, the Public Defender's Office is available to represent you, regardless of your citizenship status. If I am unable to speak English, how will I get an interpreter to assist me? The court will make arrangements for the assistance of an interpreter for all court hearings. The Public Defender will make arrangements for the assistance of an interpreter for all appointments. Please make sure you inform your lawyer that you need an interpreter. Often people may think they can understand enough English to "get by." Unfortunately, sometimes in court there might be special meanings of words which can make a critical difference in the handling of a case. Further, court proceedings can be confusing enough without adding the complication of unfamiliarity with the English language. If there is any doubt as to whether you can understand everything that is being said to you and about you, it is far safer to use the services of an interpreter. A child who is charged with committing a crime, such as petty theft, or truancy, has the same rights that an adult would have if charged with the same crimes, however court proceedings are held in Juvenile Court. After a child is arrested, the child may be released to a parent and given a court date where he or she must appear for court. Or the child may be transported to the Juvenile Detention Center (JDC). The police will submit their arrest reports to the State’s Attorney’s Office. If the State’s Attorney decides to charge the child with a crime, the matter is set for arraignment in juvenile court. At the arraignment the Juvenile Court Judge will advise the child of his or her rights and ask him whether he or she wishes to “Admit” or “Deny” the allegations. If the matter is not resolved at that time, the case will be scheduled for an “adjudicatory hearing,” which is similar to a court trial in adult court. If the child wishes to have an attorney, the Judge will appoint an attorney. If the charges are admitted or found true at trial, another hearing, called a “dispositional hearing” will be held, at which the judge will decide what must be done to rehabilitate the minor. The judge may order a Court Services Officer to conduct “case study,” to assist him in deciding what the best program would be for the child. The Judge’s options may include returning the child home on probation, or on extreme cases, sending the child to the Juvenile Department of Corrections. The goal of the court in all juvenile cases, is to evaluate what is in the best interests of the child. Cases involving abused or neglected children are also held in Juvenile Court. How can I get a criminal conviction wiped off my record? The 2010 Legislative session recently modified the law with regard to record expungement with the passage of SDCL 23A-3-26 through 23A-3-33. Essentially these laws allow arrest records to be sealed after one year from the date of arrest, but only if no formal charging document was filed. In other words, if a case was dismissed before a probable cause determination was made by a grand jury, or by a judge following a preliminary hearing, a person may apply to the court to have the arrest records sealed. The law also allows for the sealing of records if the person was found “not guilty” by a judge or jury. An expungement is initiated by filing a motion with the clerk of courts for the county that had jurisdiction over the criminal matter. The motion must also be served on the prosecuting attorney that handled the case. Having one’s arrest records “sealed,” does not mean that all of those records have been destroyed, only that that the records will not be made available to the public without a court order. Motions for expungement are treated as civil matters. Although the law allows for the waiver the filing fee if the person is indigent and unable to pay the fee, the law does not provide for the assistance of court-appointed counsel. For a lawyer referral list, check out www.sdbar.org.